Bentley redefines the fastest ultra-luxury driving experience in the world with a new pinnacle flagship. The new Bentley Mulsanne Speed is tailored for the driver, with 537 PS (530 bhp / 395 kW), 1,100 Nm (811 lb.ft) and selectable sports suspension and steering on demand. At the heart of the Mulsanne Speed is Bentley’s iconic 6¾-litre twin-turbo V8 engine, which has been re-engineered for the Mulsanne Speed as well as the signature Mulsanne. A totally redesigned combustion system (including combustion chamber, inlet ports, fuel injectors, spark plugs, and compression ratio) promotes a much faster and more controlled combustion process. Through combining these advances with new variable valve timing and optimised turbocharger control, torque output of the engine has been pushed to record levels – 1,100 Nm (811 lb.ft) from 1,750 rpm. 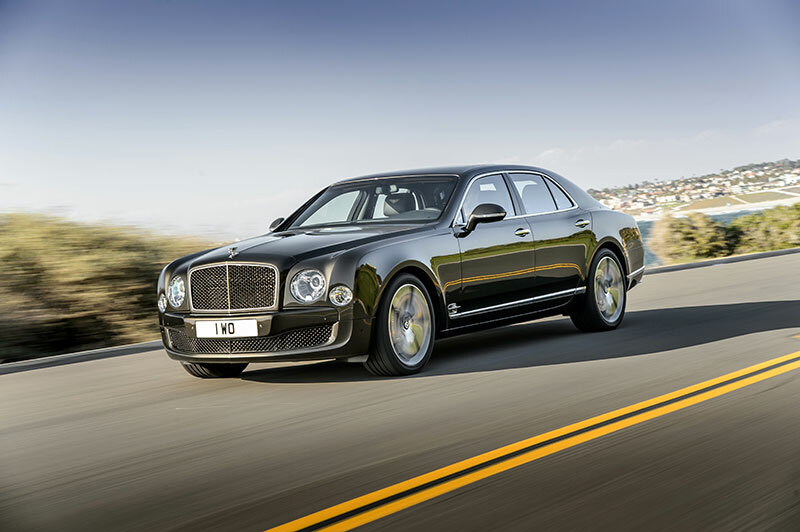 The swell of torque from low engine speeds builds to a new peak power output of 537 PS, enough to drive the Mulsanne Speed to a top speed of 190 mph (305 km/h) – an unrivalled figure in the ultra-luxury sector. The 0‑60 mph sprint is covered in 4.8 seconds, with 0‑100 km/h taking just 4.9 seconds. 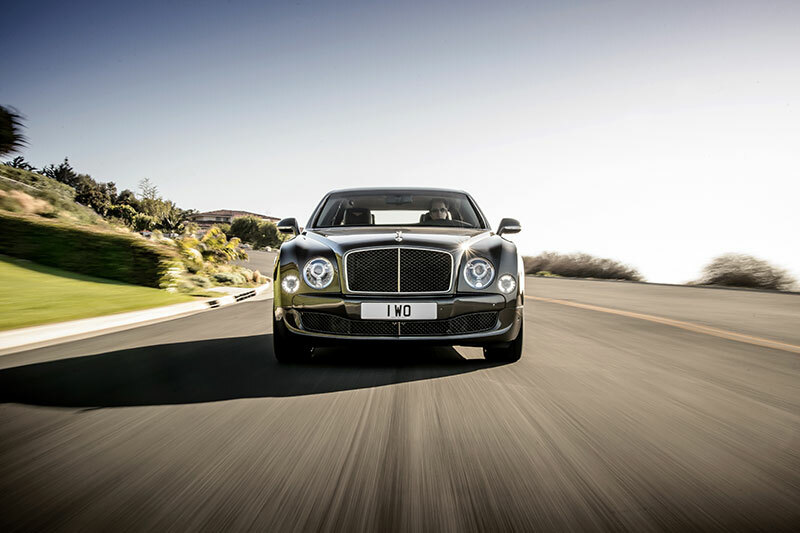 The new engine is paired with a recalibrated gearbox designed to enhance the driving experience of the Mulsanne Speed. The gear strategy is optimised for the new, higher wave of torque, and is designed for instant torque delivery on throttle application. The connection between the car and driver has been the focus, and extensive validation with both keen drivers and professional chauffeurs has proven the new setup. A new “S” mode gives the driver even more control, and maintains the engine speed above 2,000 rpm so that the turbochargers are always ready to deliver instantaneous performance. Meeting the new EU6 emissions legislation, and designed to also meet the upcoming US LEV III standards in the future, the new powertrain records 342 g/km of CO2 on the NEDC drive cycle – a 13% improvement on the current Mulsanne. The ensuing fuel economy improvements have extended the fuel range of the new Mulsanne Speed by 50 miles (80 km). Through this new setup, the Mulsanne Speed builds on the abilities of the signature Mulsanne model, being able to switch from a communicative and enjoyable car to drive at pace, to a relaxing, comfortable and exceptionally refined limousine. The Mulsanne Speed reflects its ground-breaking performance with new and more assertive styling features that are marks of distinction for Bentley’s pinnacle flagship. A dark tint finish is applied to the exterior stainless steel matrix grilles, in a process unique in the automotive industry, with the radiator grille, lower bumper grilles and wing vents all featuring this exquisite treatment. 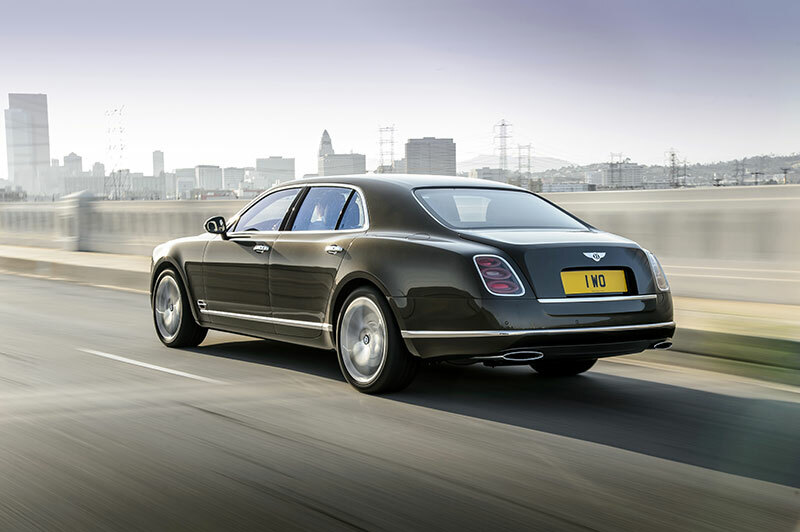 The distinctive headlights of the Mulsanne show the same dark tint application, and at the rear of the car the taillights retain the “floating ellipse” design, but are similarly finished with a dark tint for a striking appearance, especially at night. 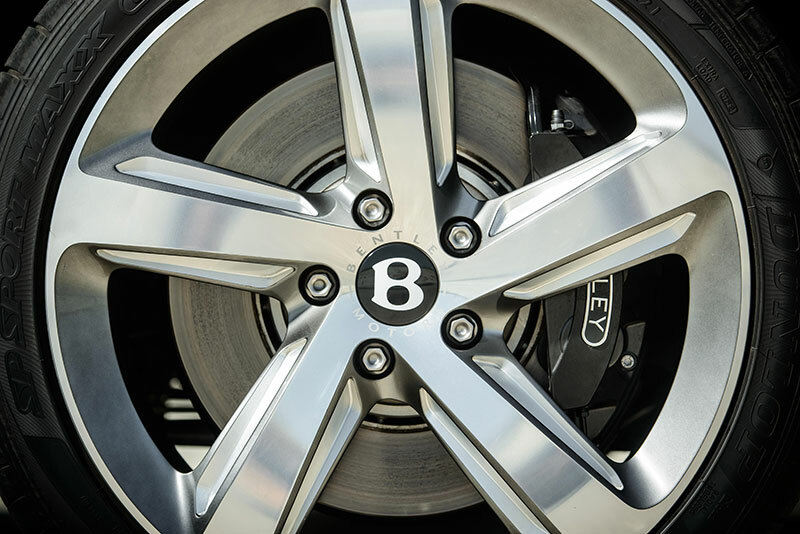 The Mulsanne Speed introduces Bentley’s first ever directional style wheel, with a design that is handed for the right or left side of the car. The 21″ wheels, available in painted, polished and dark tint with machined accent finishes, are individually machined from solid forged blanks, before being perfected by hand. Concealed beneath the exquisite materials that define the Mulsanne Speed cabin is a suite of technology to make any journey as productive or relaxing as one desires. A 60 GB on-board hard drive can store the driver’s collection of music and films. Electrically-operated tables, with recesses and connections for iPads and matching keyboards, can be fitted to the rear of the front seats, while on-board Wi-Fi through a dedicated router keeps the car connected to the outside world. A frosted glass bottle cooler, complete with bespoke crystal champagne flutes, may be installed behind the rear armrest. A 2,200 watt Naim for Bentley premium audio system expands on the standard 14-speaker system and offers the best in-car sound experience in the world. Entertainment on-the-move can be provided through the Rear Seat Entertainment system, including two 8” screens and Bluetooth headphones. The signature Mulsanne ultra-luxury sedan has been updated for 2015, to complement the launch of the performance-focused Mulsanne Speed. The Mulsanne receives the same efficiency upgrade through new engine hardware, with its 512 PS (505 bhp), 1,020 Nm (752 lb.ft) 6¾-litre twin‑turbo V8 engine also now 13% more efficient. Changes have also been made to the gearbox calibration of the Mulsanne, focussing on smoother, relaxed gear changes that promote a comfortable and refined driving experience. New paint colours, hide and veneers options are also available across the Mulsanne family.